I told myself I wasn’t going to post about this, because frankly I have mixed emotions, but here I am anyway. Last Sunday night while I slept contently in my bed, no doubt dreaming about my next plot twist for my current WIP, Youngman made a choice of significant importance to me. You see, he chose to become my 1000th follower. Nine hundred ninety-nine bloggers preceded him, but he turned out to be the lucky one. There were no swirling colored lights, deafening sirens, or burst of confetti that accompanied that click of his mouse, but there should have been. Around the blogosphere reaching a thousand followers is a big deal, and as much as I preach that the number of comments left on each post is a better measure of how much impact you have around here, I selfishly still yearned for that magic number. Not to take anything away from Youngman, but the 1000th is just as important as the 1st (who was probably my wife…or mother) or any of those in between. In the official system of measurement a thousand is one kilo-, officially abbreviated as K. Technically oriented people occasionally represent large numbers by replacing the last three zeros of the general numeral with "k", for instance, 30k for 30,000. So basically, one K = 1000 eaches. In blogspeak, each individual follower is a piece of the whole, and for me, part of the K. This is oddly appropriate because I see this as a perfect illustration of where the whole is definitely greater than the sum of its parts. The symbiotic relationship a blogger has with his/her followers can…and should… transcend normal bonds. Last week I had 551 new visitors drop by my blog (a personal record), mostly because of WRiTE CLUB, and that number boggles my mind. But what I constantly have to remind myself is getting somebody to drop by once is easy, getting them to come back that second, third, fourth time is the trick. That’s why I tend to focus on comments as a measuring stick for success, but even that is flawed because plenty of followers stop by to read, but don’t comment (which is fine). Regardless, I will continue to find ways to keep things fresh and interesting around here because that’s my role right now. Someday, when I become published, I hope to become more of a mentor. I’ve yet to earn that right, but watching me get there is part my story. Cruising Altitude 2.0 is as much about you as it is me. Together we have come a long way. Climbed a steep mountain without even realizing that’s what we were doing. 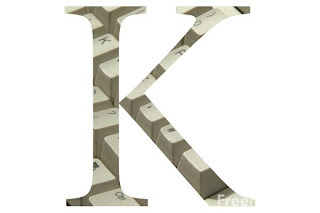 I realize that many of those that make up the K are long gone, but that doesn’t matter. I am thankful to those you who are here in the trenches with me now. Thank you * K + 13 (as of today). Man, are we off to a fast start or what?! Everyone grabbed a torch and went running far and wide to spread the word of WRiTE CLUB, and interest is coming back in droves. Thank you...thank you...thank you! But we have one week left until we get things kicked off, so I'd appreciate any help I can get to reach the edges of the blogosphere and beyond. Before I answer some common questions that seem to keep popping up, first I want to share some observations I've formed after reading some of the comments at other blogs who have graciously talked about our little competition. First, what seems to be keeping a lot of people on the fence about participating, or standing just on the other side, is fear. The fear of putting your heart & soul (i.e. writing) out there for others to judge, even if its anonymously. I want you to know...I get it. In one respect it's a little like sitting in a bathroom stall when two of your coworkers walk in, and without realizing you're there, start discussing your wardrobe. And although being anonymous is a tremendous help in easing the stress of being judged, it can't solve the biggest issue of all...that you still know. But here's the thing, if you EVER hope to see your work published in ANY fashion, someday IT and YOU will have to get up on the pedestal and listen to what others have to say. WRiTE CLUB gives people that opportunity, in some small measure, by offering them a chance to dip their toes in the water. Second issue I read about a lot is time. 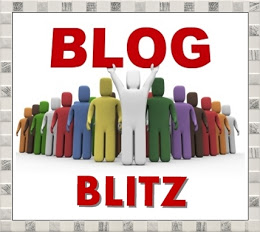 We bloggers/writers are busy! Believe me, I get this too! But this contest is designed for minimum input and maximum results. If you want to be a contestant, all it takes is a single 500 word writing sample. And that can be something you've already written from an existing WIP (for more detail see questions below). If all you want to do is be a spectator and vote from time to time, new bouts are posted each Monday for twelve weeks and a bout will stay active until the following Sunday at noon. You can visit anytime during the week to read the writing samples and cast a vote. And you don't have to vote every week, just when you can find the time. What could be easier? Finally, yes...WRiTE CLUB is a competition, but at its heart it's about making everyone winners. Those who choose to compete and are selected will hopefully receive valuable feedback which can be used to improve their writing, and the ones not selected will have still taken a step forward by having the courage to submit. Everyone who comes by just to read the samples, cast their vote, and offer a little bit of input, are treated to some truly splendid writing...and when is that ever not a positive. You see, nobody loses in WRiTE CLUB! Now, here are the answers to the most common questions. I'm not sure I'm going to put anything in this year but I'm going to be voting. I might, but I'm not sure. Should I still put my name on the linky list? If you intend to submit, OR simply vote at anytime during WRiTE CLUB your name needs to be on the linky list. Why you ask? 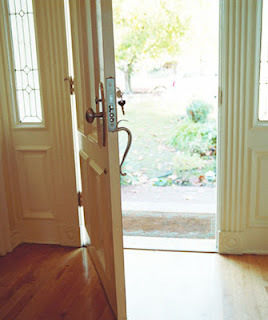 Because I want to make sure that everyone who takes part owns some sort of real estate (blog/web site/Facebook writers page) in the blogosphere. 500-word limit is the upper limit, yes? Not a "roughly this size" guideline? Submissions can be anywhere from a single word to 500 (not 501). Do we submit multiple stories as we see fit, or submit one whenever we get to it and let that one try to make it? 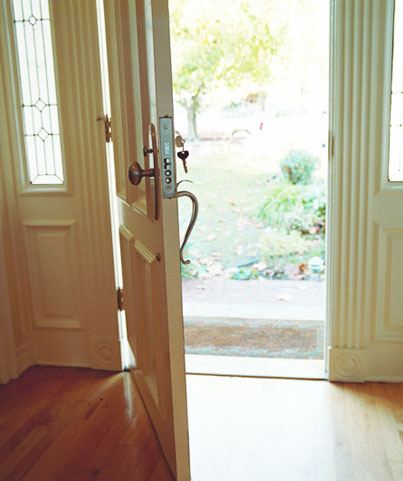 Every participant is allowed to submit ONE writing sample. 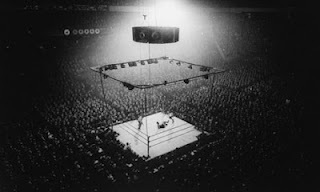 If you are selected to compete (there is only one bout per week between two randomly selected opponents) and your piece ends up losing, you will have a choice to have that sample be placed back in the pool for the possibility of being selected again for future rounds against a different opponent, or you may submit a new sample at that time. Where do we give our pen name? In the email with our 500 word submission? Yes. My wife is the only person who will see the connection between your real name and the pen name you've chosen in that email. Do we have to submit every week or can we just submit one or two entries? A weekly commitment is something I cannot obligate myself to right now. A single submission is all you need (unless you lose and you choose to resubmit a different sample). The Linky List. Is that enough to have info sent keeping me abreast of situ--mostly reminding me...hehe..:) I will not be sending out weekly updates, you'll have to come by my blog to keep abreast of whats going on. It's just a random 500 word flash fiction piece right? It doesn't have to be from a WIP does it? Both are acceptable. It can be a fully contained story, or just an excerpt of a larger piece of work. We are concentrating on the writing style here, not story idea's. If you're only doing 1 match a week is it possible that a submission won't get a chance to compete? Yes...and possibly no. As it is laid out now the maximum number of participants we could have during the 12 week preliminary rounds is 24. But with the number of submissions my wife tells me we're seeing, I might have to break one of my own rules and have two bouts per week, which would increase the chance of being selected. If anybody still has questions, just leave them in the comments and I will email you directly with the answer. It’s what you’ve been waiting for! WRiTE CLUB is back! My highly successful undertaken from last year whose inspiration was born from the movie FIGHT CLUB is ready to go another round with some significant improvements. There have been numerous versions of this concept around the internet before, but nothing quite like how we do it here. This unique approach, combined with your participation, will continue to set it apart. 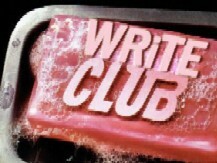 Before we discuss what’s different for 2012, let’s talk about just what WRiTE CLUB is for those of you may be new. The essence embodies simplicity, good-natured competition, and a lot of fun. Over the course of twelve weeks we’ll be holding tri-weekly bouts (36) on Monday, Wednesday and Fridays to determine winners that will advance to the play-offs, which will ultimately lead to a single champion. 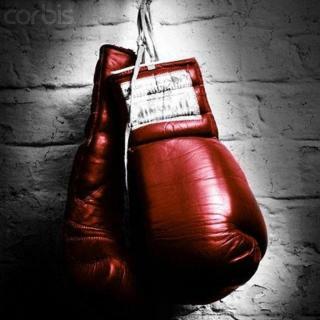 Bouts between who…or what…you ask. Anonymous 500 word writing samples, submitted by anyone who wishes to take part, that’s who. The submitted samples should be identified only by a pen name of your choosing (be creative) that nobody has ever seen before. The writing can be any genre, any style (even poetry) with the word count being the only restriction. It’s a way to get your writing in front of a lot of readers, without having to suffer the agony of exposure. We’ll start accepting these submissions today and will continue to take them during the entire twelve week preliminaries, but beginning on July 30th, the first WRiTE will be held. Are you bouncing up and down in your chair with excitement, wondering how to submit your sample? It’s simple, first you need to sign up to be a member of WRiTE CLUB on the Magical Linky Tool at the bottom of this post (a new requirement for 2012), then send your submission to klhtravel@gmail.com. My wife will be monitoring that email address and assigning a number to each one we receive. I will never see who authored any sample, other than by the pen-name. On July 30th I will randomly select two of these anonymous entries and post them for head to head competition. The winner will be selected by our readers via their votes left in the comments. Ties will be decided by me (if necessary). The victor will automatically be eligible for the playoffs that will begin October 22, 2012, and the runner up will be placed back in the open pool for possible selection in another round. Here are the tenets (with explanation) that guide the competition. For those of you who took part last year you’ll notice that a few of them have been tweaked. 1st RULE: You MUST talk about WRiTE CLUB - Spread the word far and wide so we can involve as many writers as possible. Display the WRiTE CLUB banner prominently on your own blog. Write a post about it. Tweet it. Mention it on Facebook. Encourage people to submit or vote. 2nd RULE: You DO NOT talk about WRiTE CLUB – Once the competition begins you are not allowed to solicit votes. All of the writing entries are anonymous, and we want it to stay that way. 3rd RULE: If someone taps out, WRiTING is over - Tapping out means a WRiTER can decide at any time during the 12 week competition to withdraw their name from the pool. 5th RULE: Three WRiTE's per week - No matter how many submissions I receive, there will only be three WRiTE per week. 7th RULE: WRiTES will go on until Oct5th - On that date the 36 winners will be matched up against one another on daily posts until the ultimate WRiTER is chosen. 8th RULE: If this is your first week at WRiTE CLUB, you HAVE to WRiTE - Each week new submissions will be placed in a "newby" pool from which one half of the WRiTE will be made up. The other WRiTER will come from the existing pool. If there are no "newbies", both WRiTERS will come from the existing pool less the previous winners. So, what’s new for 2012? As I mentioned above, anyone who wants to participate (submit a writing sample OR to vote) will need to add their name to the Magical Link list below, officially becoming a member of the WRiTE CLUB. Not on the list…no voting or submitting allowed. The second change is that we’ve increased the word count for submissions up to 500 words. And the most exciting change of all…. The winner of the final round will be picked by a panel of publishing industry professionals! Agents, Editors, Marketers, and published authors! Here’s the gang (in totally random order). Jill Marsal - Jill Marsal is a partner at the Marsal Lyon Literary Agency. She has been in the publishing industry almost 15 years. On the fiction front, Jill looks for all types of romance (contemporary, paranormal, romantic suspense, historical, and category), women's fiction and family stories, cozy mysteries, and thrillers. She is also looking for general commercial fiction and welcomes a dramatic storyline and compelling characters in interesting situations or relationships. On the non-fiction side, Jill's areas of interest include business, current events, health, self-help/advice, relationships, psychology, parenting, and narrative non-fiction. 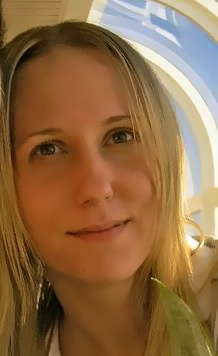 Sarah LaPolla - Sarah began at Curtis Brown in 2008, working with Dave Barbor and Peter Ginsberg. 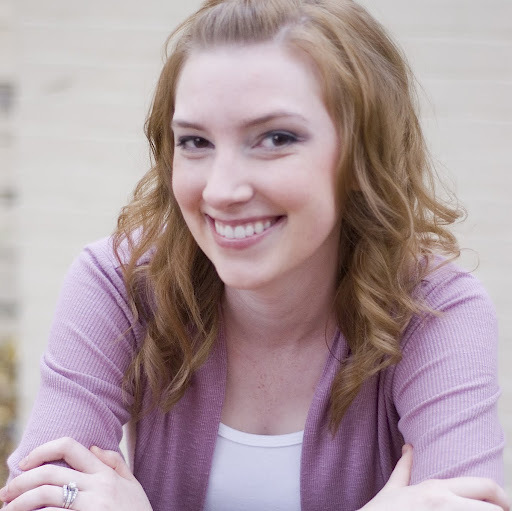 Sarah is interested in literary fiction, narrative nonfiction, urban fantasy, paranormal romance, science fiction, literary horror, and young adult fiction. She loves complex characters, coming-of-age stories, and strong narrators. Sarah graduated from Ithaca College with a degree in Writing and English, and went on to receive her MFA in Creative Writing from The New School. Ann Collette – Ann was a freelance writer and editor before joining the Rees Literary Agency in 2000. Her list includes books by Barbara Shapiro, Mark Russinovich, Steven Sidor, Vicki Lane, Carol Carr, Clay and Susan Griffith, and Chrystle Fiedler. She likes literary, mystery, thrillers, suspense, vampire, and commercial women's fiction; in non-fiction, she prefers narrative non-fiction, military & war, work to do with race & class, and work set in or aboutSoutheast Asia. Ann does not represent children's, YA, sci-fi, or high fantasy (Lord of the Rings-type books). Elana Johnson - Elana's debut novel, POSSESSION, is available from Simon & Schuster and her second novel, SURRENDER, was just released on June 5, 2012. She is also the author of From the Query to the Call, an ebook that every writer needs to read before they query. 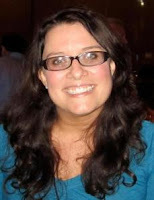 She runs a personal blog on publishing and is a founding author of the QueryTracker blog. She blogs regularly at The League of Extraordinary Writers, co-organizes WriteOnCon, and is a member of SCBWI, ANWA and LDStorymakers. 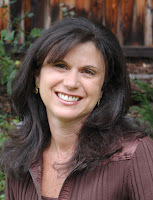 Elana is represented by Michelle Andelman of Regal Literary. S.R. 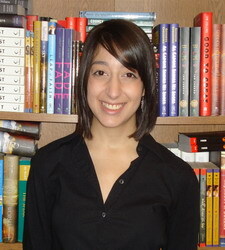 Johannes - Shelli was recently nominated in the YA category as Georgia Author of the Year and also the 2012 winner of the IndieReader Discovery Awards for young adult for her Amazon bestselling Untraceable (a teen wilderness thriller). She has also published a new tween paranormal, On The Bright Side, as well as a teen romance anthology with 16 other authors titled, In His Eyes. Uncontrollable, the sequel to Untraceable, is scheduled for fall 2012. 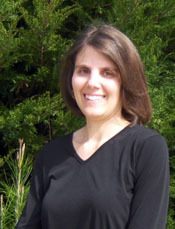 Shelli lives in Atlanta Georgia with her dog, British-accented husband, and the huge imaginations of their little prince and princess, which she hopes- someday- will change the world. After earning an MBA and working in corporate America, S.R. Johannes traded in her expensive suits, high heels, and corporate lingo for a family, flip-flops, and her love of writing. 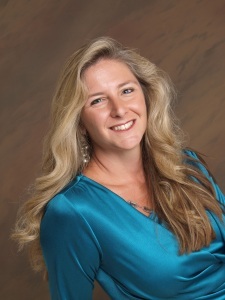 Rachelle Gardner - Rachelle is an extremely popular agent with WordServe Literary Group based in Denver, Colorado. She loves books, authors, publishing, and talking incessantly about them. Her passion is partnering with authors to bring worthwhile books to publication. She also writes a heavily trafficked blog that in her words “is a way to create a community of writers, both published and seeking publication”. Tiana Smith – Tiana was the first ever WRiTE CLUB champion! She graduated with an English degree with a creative writing focus from Westminster College and writes YA/MG books. She also likes to design blogs, so if you're interested in getting one of her premade designs, please visit her shop @ The Blog Decorator. Lucienne Diver – Lucienne is a long-time book addict who went into publishing over eighteen years ago to feed her habit, beginning at New York’s prestigious Spectrum Literary Agency and moving three years ago to The Knight Agency. 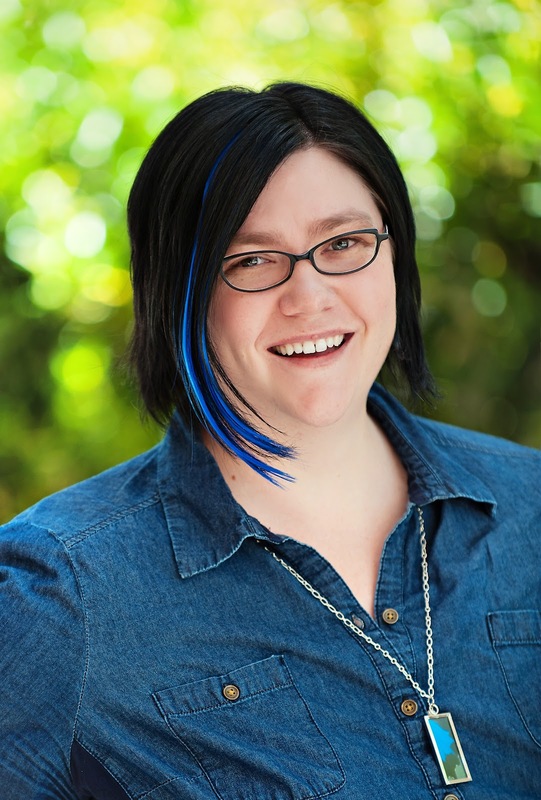 In addition, she’s an author in her own right with the Vamped series of young adult books for Flux and the new Latter-Day Olympians series of urban fantasy novels, beginning with Bad Blood, from Samhain Publishing. Straight,” published online on September 28, 2008 by The Village Wit, "Crossing the Guard," published in An Honest Lie, Volume 1:Encouraging the Delinquency of your Inner Child" by Open HeartPublishing, and "The Other Side of the Wall," published in An HonestLie, Volume 2: Delusions of Insignificance. Her full length novel,"The End" will be publishing this year. After the competition is over I will release the real names of only the two finalist. Otherwise, the competition will remain completely anonymous to prevent hurt feelings or crushed pride. I know they'll be questions, so go ahead and leave them in the comments section and I'll post the answers in a follow-up post. Are you game? Are you willing to WRiTE for what you want? Then crack those knuckles and get ready to flex that imagination. And whatever you do, tell your friends! WRiTE CLUB 2012 is ON!!! "This thrilling story is a dramatic entanglement of mystery, deception and teen romance. The action flows like a brisk mountain stream interspersed with rapids, holding suspense to last page." "Johannes has done a marvelous job of creating a suspense-filled mystery with surprises that keep you guessing all the way to the end. 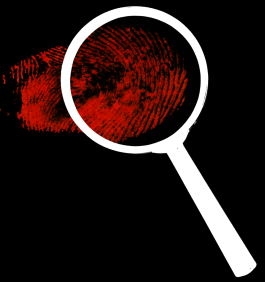 Untraceable is a thoroughly engrossing and riveting page-turner." While she’s excited about helping with the conservation of the endangered wolves, Grace knows this means being outdoors in the worst winter recorded, in a place she no longer feels comfortable. It also means working closely with Wyn (her ex) and his annoying girlfriend (Skyler), a girl whose idea of getting close to nature is growing silk plants. After a couple wolves show up dead, Grace almost quits. When a fellow project team member goes missing, Grace continues the assignment under a renewed suspicion that someone might be sabotaging the conservation program. She quietly begins to hunt for clues. And possibly by more than one person. 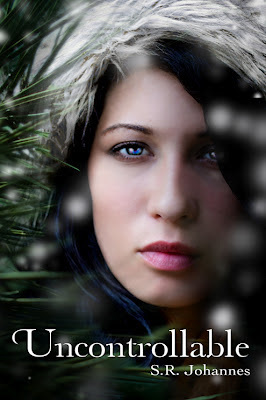 Shelli is having a cover contest, so hop on over to http://srjohannes.com/ to take part in the fun.